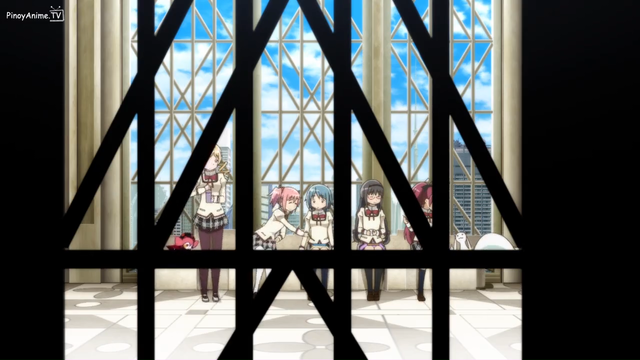 This post is image heavy and will, obviously, contain spoilers for both the Puella Magi Madoka Magica anime series and Puella Magi Madoka Magica: Rebellion, the movie. I would strongly suggest you not read this post unless you have seen both. Also, content warnings for basically everything having to do with PTSD, including depression and suicide. 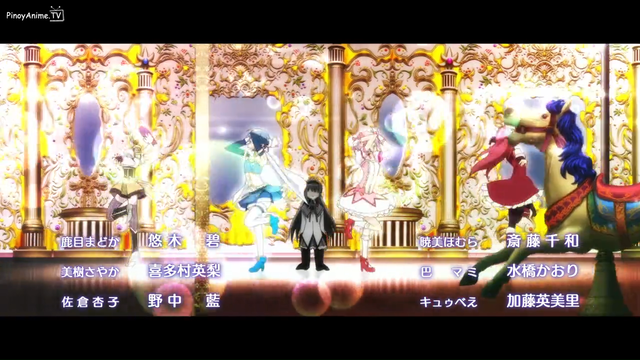 Puella Magi Madoka Magica is a series that has been said to be an allegory for depression and decay. But there is another theme in the Rebellion story worth picking out: trauma. 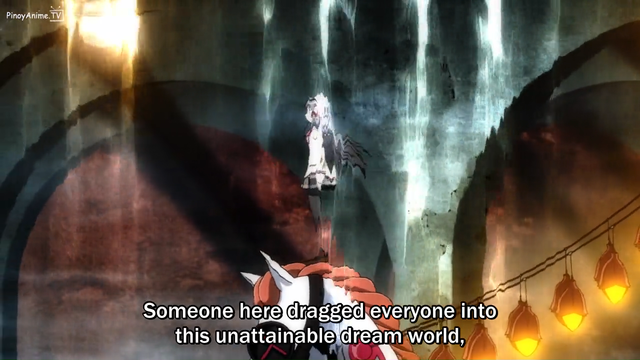 Magical girls in the PMMM universe lead a deeply lonely existence, fighting horrors conjured from the despair of mankind. It is no surprise that this experience - being stigmatized, set apart from everyone, and tasked to fight against an enemy that will never give up, unlike you - is not only isolating, but can lead to PTSD. If members of the military can gain PTSD from fighting wars with an entire army supporting them, is it really any wonder that magical girls, who experience much of the same stress coupled with isolation, would too? 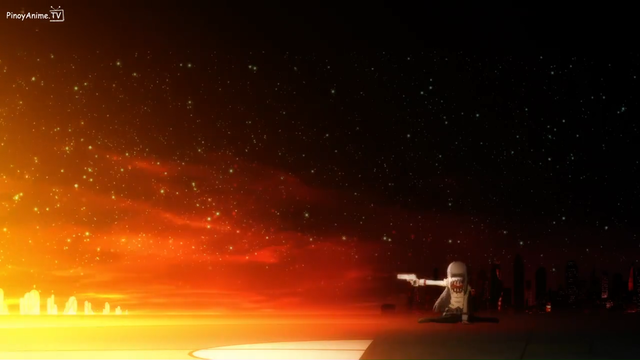 Rebellion is the story of Homura breaking under the strain. 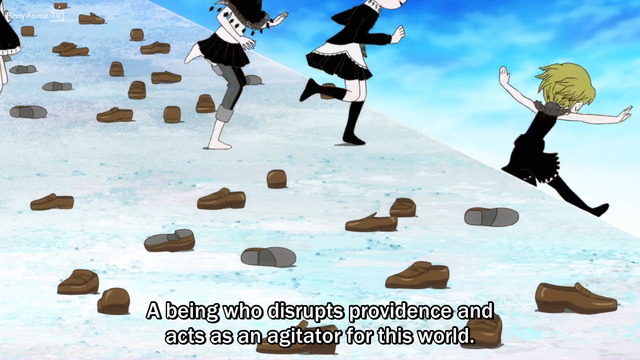 The beginning of Rebellion is a pleasant and fun romp, the kind of story that most people think of when they hear "magical girl series". 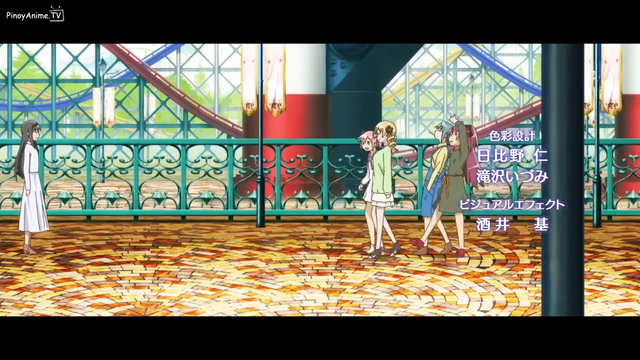 The girls are fighting in a magical team together, their interpersonal issues somehow having vanished. It appears at first to be a different continuity; it starts just like the series, too, with Madoka waking up and getting ready for school. But then there is the opening. 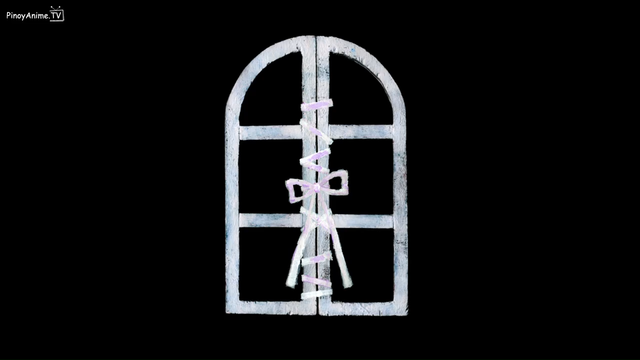 Her experience leaves her with nothing except a pair of ribbons and the knowledge that Madoka is happy, somewhere - a somewhere she can't get to, and a somewhere that nobody else knows exists. The real danger in a traumatic experience is not that it happens. The real danger is the social isolation afterwards. Strong communities can mitigate much of the psychological impact of, say, natural disasters. Isolated people who feel they will not be believed if they tell anyone about what happened to them are the ones that most often break. 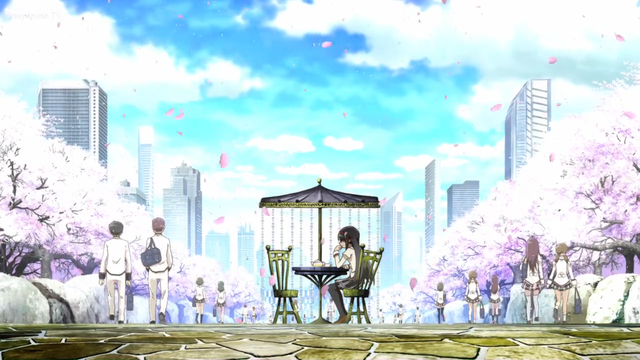 The sequence of events in the anime leave Homura with nothing to show of what she went through, of her sacrifices, but her memory of the time before - and memory is fallible. Dissociation is a kind of mental defensive wall behind which one retreats, when things get too traumatic. Some people learn to do it consciously, and some drugs cause it, but in the context of trauma, it is often an early, learned, unconscious response to trauma: a way to function despite the pain. An ‘out-of-body’ or depersonalization experience during which individuals often see themselves observing their own body from above [...] has the capacity to create the perception that ‘this is not happening to me’ and is typically accompanied by an attenuation of the emotional experience. 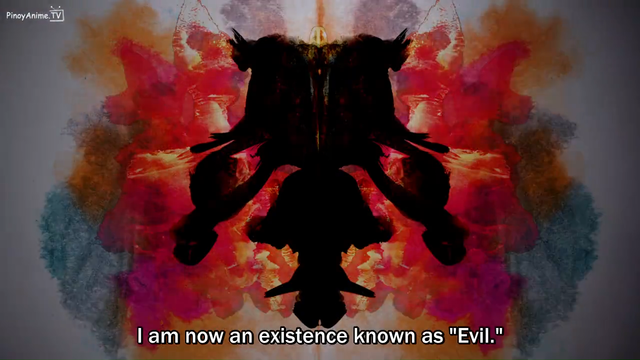 Similarly, states of derealization during which individuals experience that ‘things are not real; it is just a dream’ create the perception that ‘this is not really happening to me’ and are often associated with the experience of decreased emotional intensity. I must note that dissociation is not inherently bad; dissociation can be invoked for feats like hypnosis, or integrated into spiritual practice. But dissociation that is triggered unconsciously to shield one from trauma is generally not a pleasant experience - especially when you have no idea what figment of real or perceived danger caused it, no context in which to understand it, and no way to turn it off. 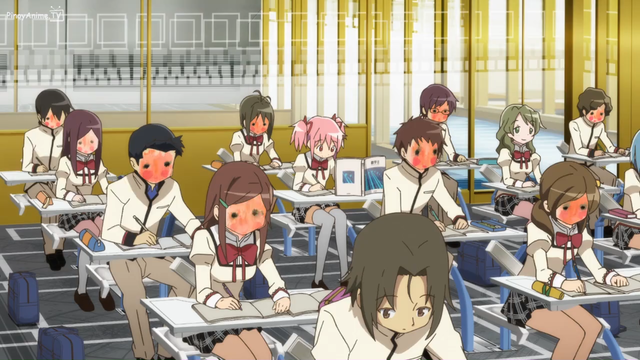 Some sort of representation of derealization is evident when Homura starts seeing people with blank faces. Although the pop-psych "recovered memories" construct is generally not supported by the evidence, there most likely exists a lesser version involving not really thinking/reacting to trauma until it seems "safe" to do so. [Update: I have since been convinced that recovered memories are indeed things that exist.] PTSD sometimes has a delayed onset, not showing up until years or decades after the original trauma. Of course, things just get stranger from there. People with PTSD know that they feel different from everyone else. Their first impulse is to conceal this and try not to let anyone know. To pretend to act normal. They don't feel like they can ask for help, because asking for help wouldn't get them help. Asking for help might let others know of their weakness. For normal people, for healthy people whose relationships have trust, the reaction to a puzzle like this should be to get other people in on it, especially when they seem to be having the same experience as you. 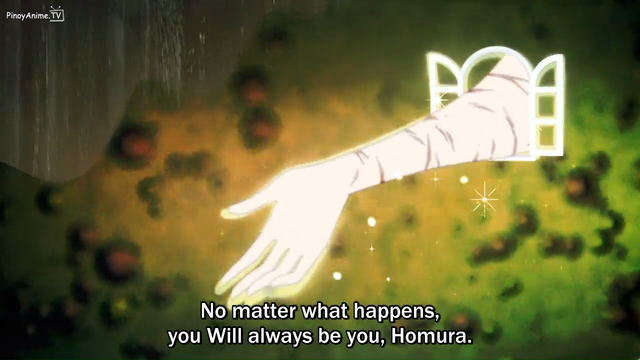 But Homura learnt first that her existence as a magical girl had to be hidden from everyone, then that what she learnt from her many timelines would not be believed by anyone, and finally that the one person she would trust - Madoka - abandoned her. She has been taught, like many traumatized people, that there is no point asking for help. So she turns inward, pretends she hasn't seen the things she's seen, and copes as best she can. But memories cannot really be erased from the mind. Especially not the emotionally charged memories that come with trauma. One of the primary symptoms of PTSD is that "triggers" (things related to the trauma) can cause the memories, or more specifically the intense emotions associated with the memories, to come right back. Just as intense, and as terrifying, as they were the first time around. These fragments of memories will go on attempting to jam themselves into awareness. They may or may not have been repressed once, but that does not matter now; trying to repress them again never seems to work for long. 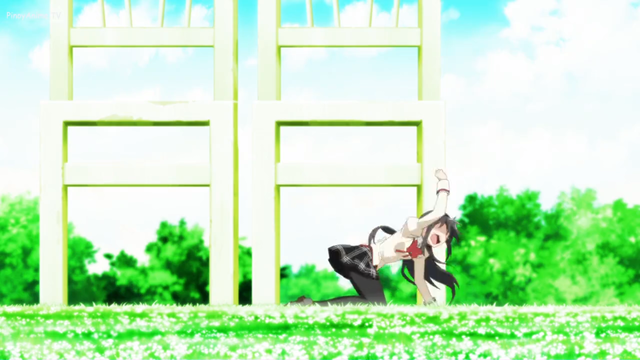 Not that Homura wants to. Knowing who she is, Homura decides to instead judge her own behavior harshly, maybe too harshly: a pattern that is also common in trauma. She sets up a rigid idea of what she should act like, and believes there is no redemption possible if these rules are violated. Madoka tries to show Homura that she is worth such redemption - after all, Madoka ascended to offer all magical girls such redemption - but Homura won't have it. 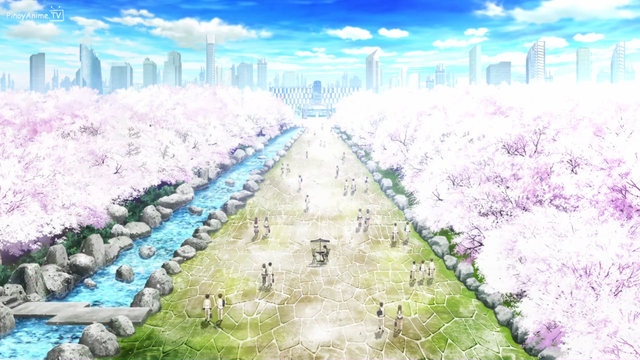 There is much discussion on the meanings of the scene that immediately follows, in the flower field. I have little original thought to add to this pile. 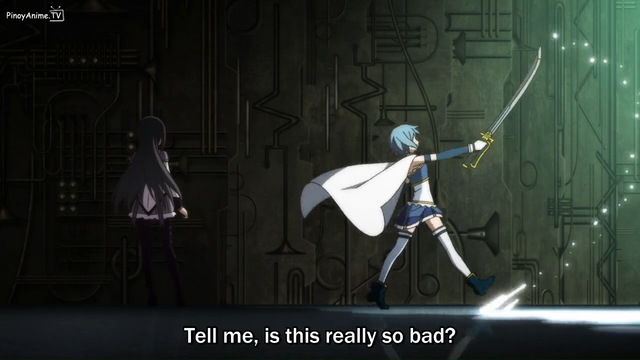 Suffice it to say Homura asks the wrong question, and thus gets the wrong answer. 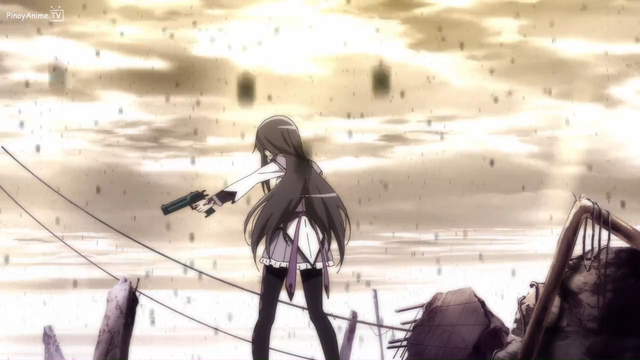 Of course, that time, when Homura was shooting herself in the head, it was a bluff, to throw off Mami. 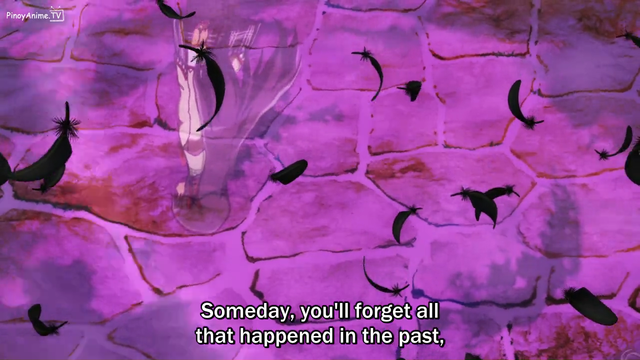 But it was also foreshadowing. PTSD almost always occurs next to depression, or at least feelings very like depression. And depression can result in suicide. The US military's suicide rate passed the US military's combat-death rate in 2012. But we are at least allegedly analyzing a work here, so let's go on. 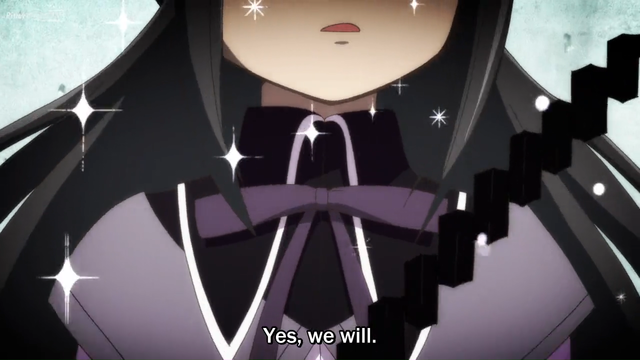 Homura realizes she is the witch she's looking for. 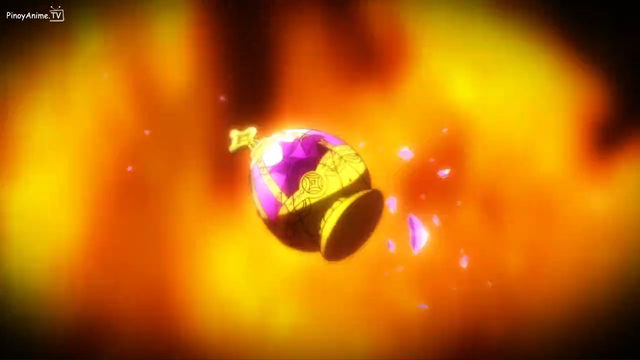 Her first reaction is to use her soul gem for target practice. This, unsurprisingly, fails to kill her. 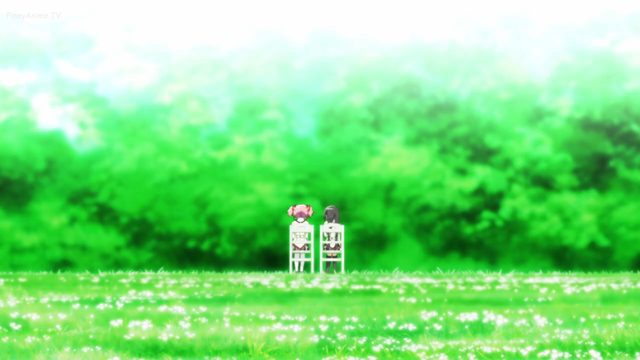 There is also much discussion of the way that the "Luminous" two-chairs-in-a-field scene gets twisted into Homura's worst nightmare. 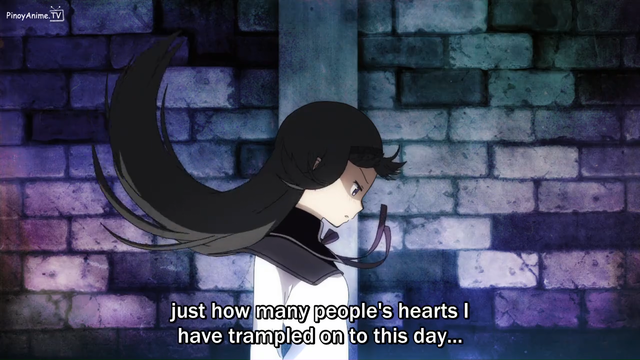 The consensus is that it has something to do with Homura's feelings of helplessness and betrayal at Madoka's repeated deaths and finally ascension, which seems about right to me. 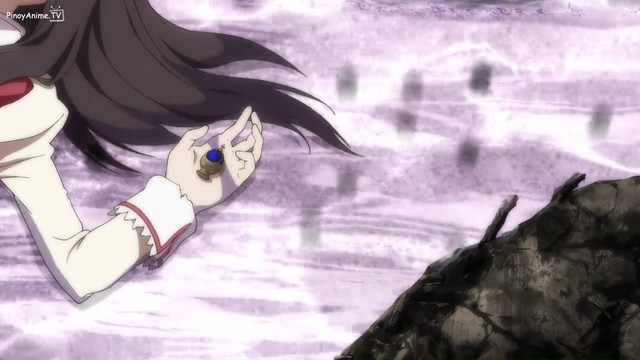 Likewise: Homura made a wish, to save and protect Madoka. And she bled for the wish hundreds of times, because every wish the Incubators grant comes true - whether or not the girl who wished it truly wanted it, in the end. 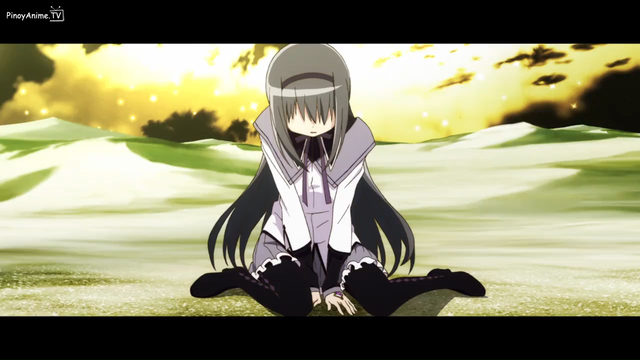 And thus Homura both hates the Incubators, for trapping her in this hell, and herself, for not being good enough to save Madoka anyway, or for not being good enough to notice that her wish had been fulfilled somehow, or for not being good enough to make a wish that would actually make her happy. Self-hatred tries to cover all the bases like that. 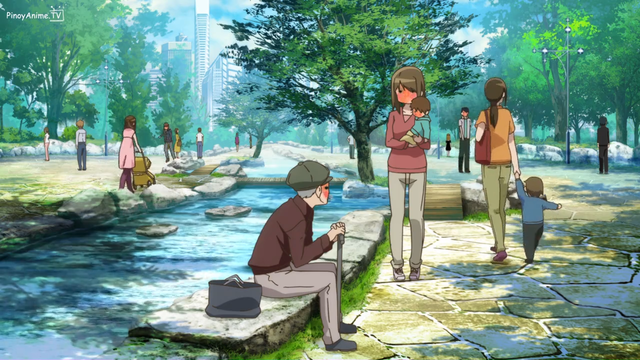 The My Little Po-Mo blog has an interesting analysis of what this scene might be. 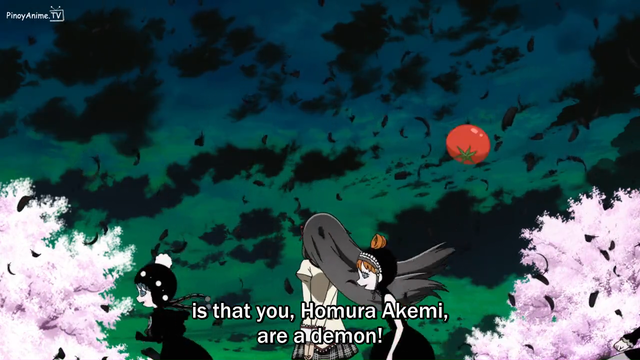 Homura's witch form is an endless cycle of self-flagellation, a psychodrama in which she acts out the events that brought her to despair and punishes herself for her failures. 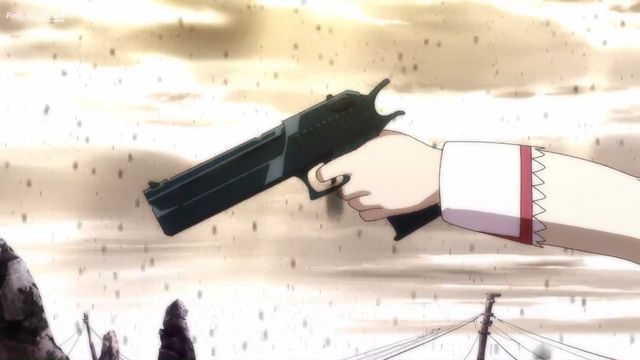 She tries to shoot herself, and the self she shoots becomes the Madoka she had to mercy-kill. 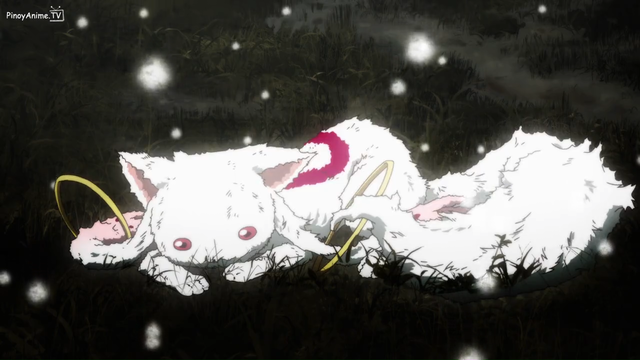 She cannot die, does not deserve to die, the way that Madoka did, because she has failed to save Madoka. But I'm going to sidestep that. Because there's a thing, with traumatic memories, ones that overwhelm one's ability to understand. They don't get stored as regular memories, like a birthday party or a vacation. When the brain never finishes being able to process a memory, it stays stored in fragments. Shards of emotion are separated from shards of sensory information are separated from shards of time sense. The effect is to destroy the ability to recall the emotion calmly, or even in the right order for that matter. 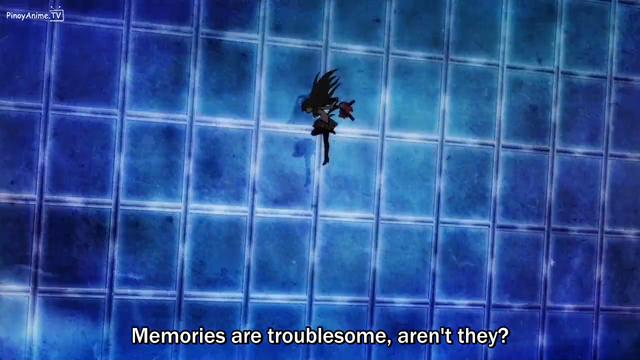 Homura's most traumatic memory is that of mercy-killing Madoka. 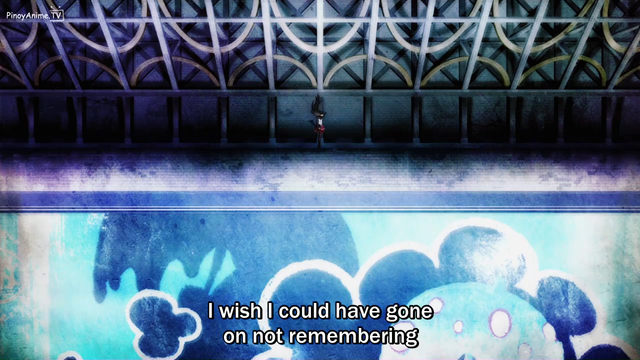 Because she couldn't talk to anyone about it (the only person she'd seriously consider trusting with this memory would be Madoka, and this poses immediately obvious problems), it never got properly processed and she had to dissociate from it to survive, to pretend nothing happened. She didn't come to an emotional understanding of what happened. And because the memory was never processed or understood, the memory was broken into shards, and she broke with it. By the final timeline, she is running on nothing but willpower and a promise she'd made many years before. 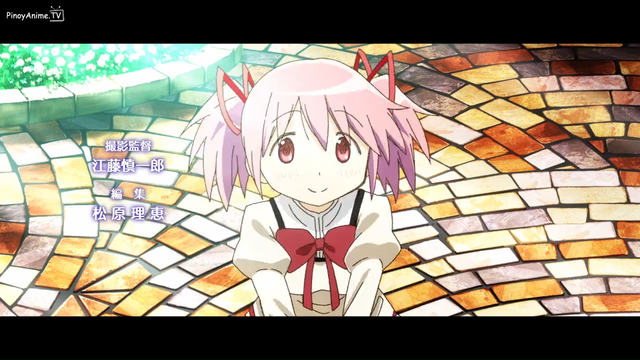 By the time she realizes Madoka isn't coming back, her fate is already sealed. 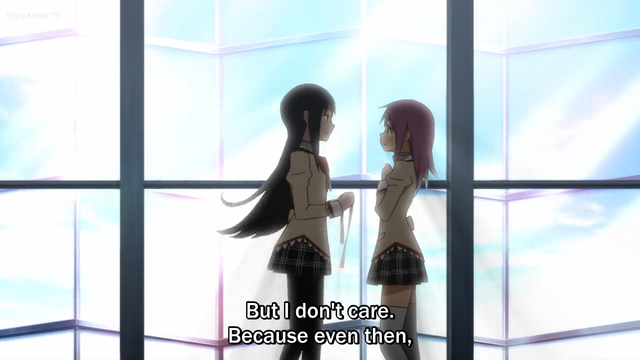 So what's kept Homura going this long? Saving Madoka. 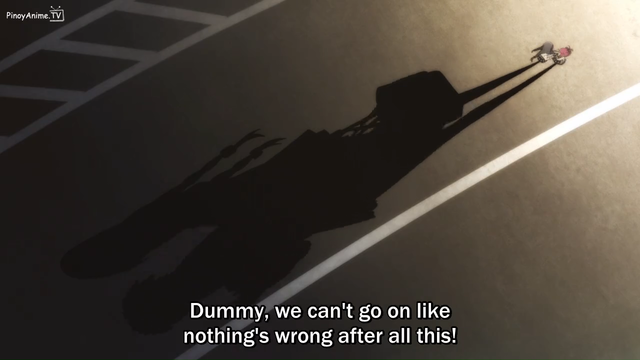 Her plans of suicide-by-cop, I mean by magical girl, having failed, she falls back on the only thing that's kept her sane for years: saving Madoka. The only problem is this time she actually has the power to do it. 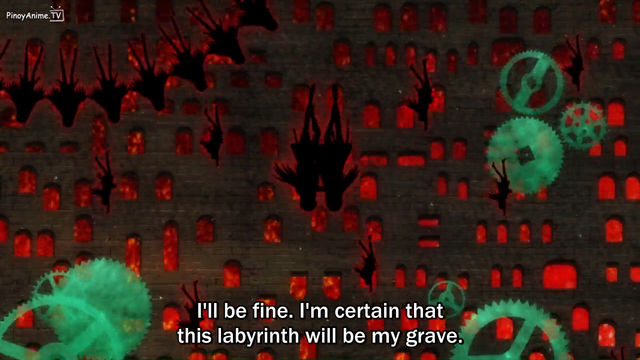 I can see it now: Homura, awake in bed, unable to sleep, a couple nights before the Incubators take her. 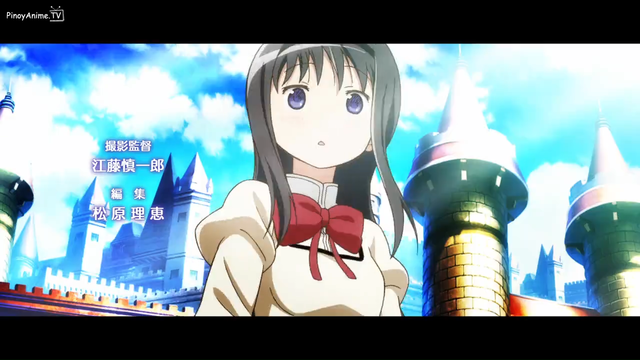 Turning over and over the fragment of memory in her head that is Madoka making her wish. She's inspected the wording a thousand times, hoping against hope that there was a loophole. And finally: she sees it. 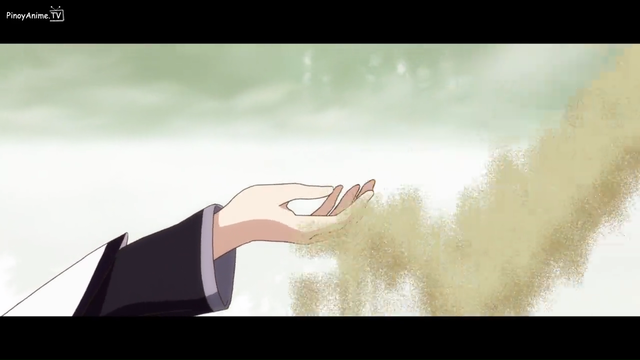 Madoka promised to cleanse all soul gems with her own hands. She falls back on the instinct that has kept her alive all these years. 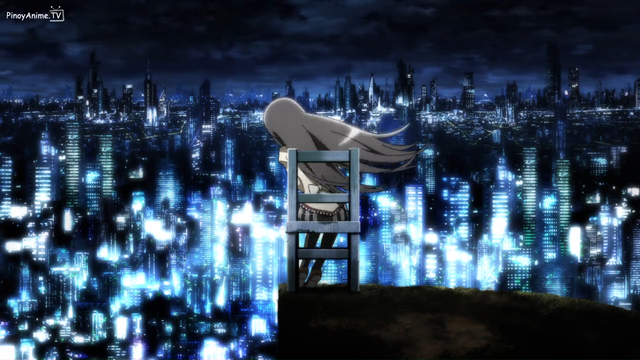 Her life has long since been pared down to what will save Madoka? So this doesn't take effort. Following the ruts already worn into the brain (or soul gem, as it were) by years of one's thoughts going around in circles is easy. Taking the first step, to break out of that fatalism, is much harder. 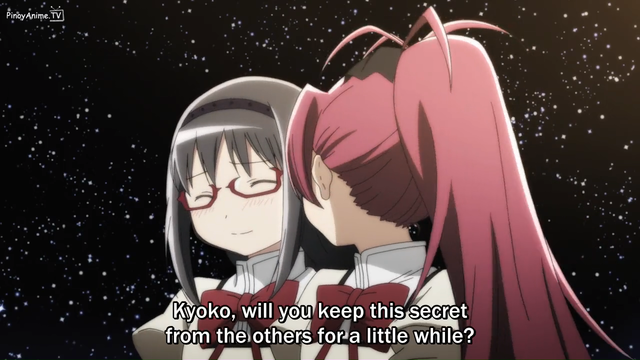 Madoka may offer Homura love, forgiveness, salvation. 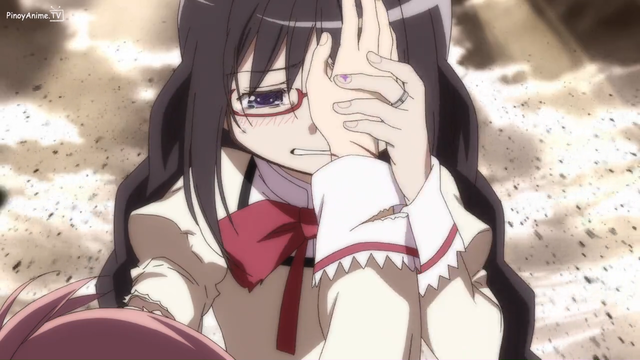 But Homura has gone through so much, she can no longer see it. 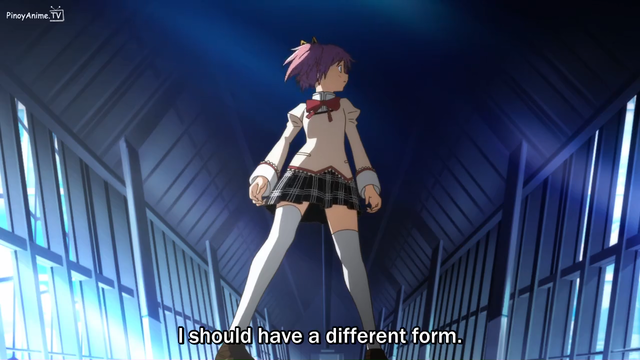 Because in the depths of her mind, broken and broken and broken, Madoka can't help her. Homura was teetering on the edge of closing herself off from even Madoka's boundless love; the Incubator just gave her the final push. 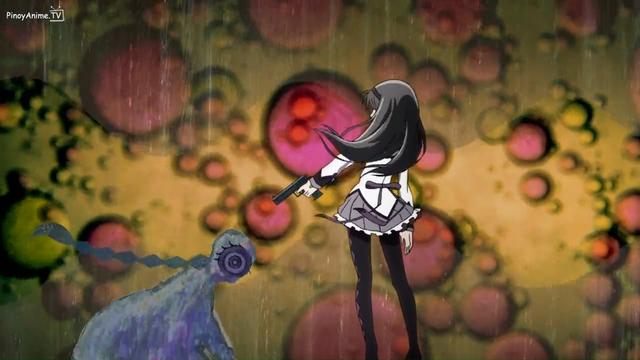 Instead of opening herself up to healing, Homura follows her instincts instead, by taking matters into her own hands. 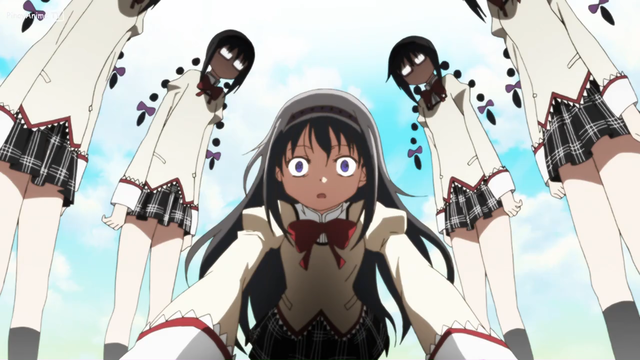 Homura may be able to rewrite the world in her own image now. 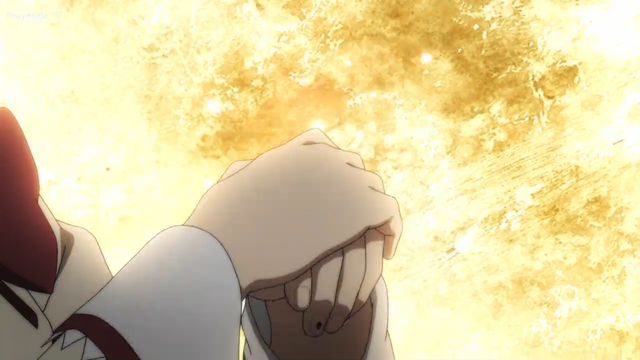 And she's finally gotten her wish: her wish of being strong enough to protect Madoka. But it turns out that hasn't helped her feel any better at all. Unfortunately, revenge and fulfillment don't fix PTSD. 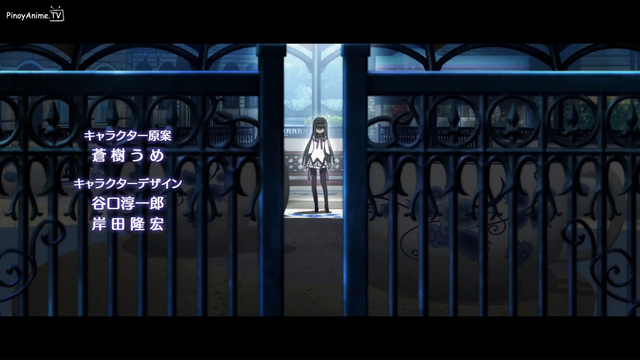 Homura is just as alone as she was in the opening credits. 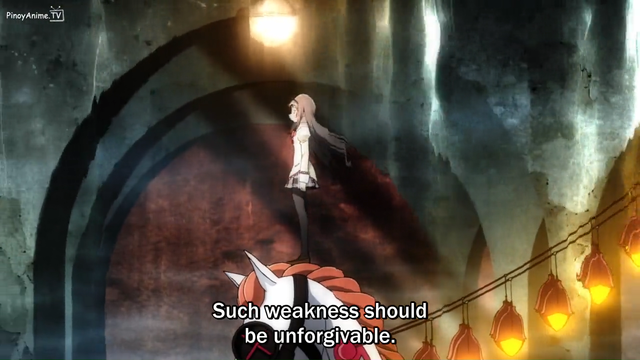 She still believes herself to be unforgivable. And her psyche is still shot through with images of suicide. But no matter how hard one tries to repress a traumatic memory, something inside oneself will always remain, to remember. 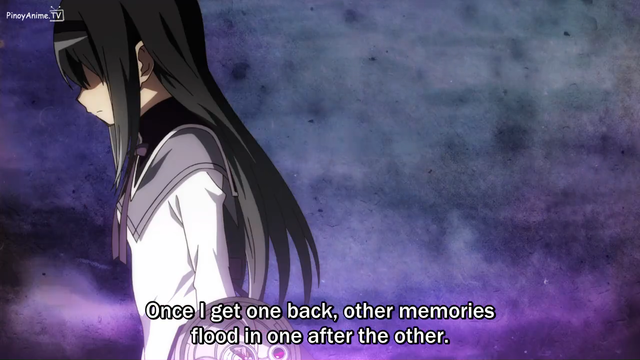 Homura can try to forget all she wants. And she can try to enforce her idea of forgetting on the universe all she wants. But it's only a matter of time until the memories start resurfacing again. For her, and for everyone. Homura still tells herself it was worth it. Even as she doubts it herself. I wish for a world where Homura can be happy, too. 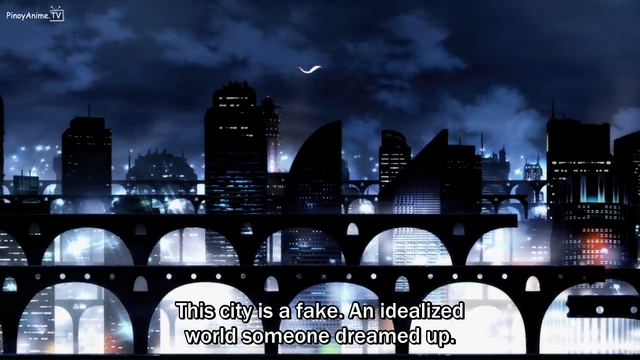 But it won't happen, not in the world of Puella Magi Madoka Magica. Because in Rebellion, her story is a tragedy: a broken girl who breaks the world, and only then realizes that nothing she does will soothe the pain. Many individuals re-create and repetitively relive the trauma in their present lives. These phenomena have been called reenactments. For example, it has been found that women who were sexually abused as children are more likely to be sexually or physically abused in their marriages. It has been noted that traumatized individuals seem to have an addiction to trauma. 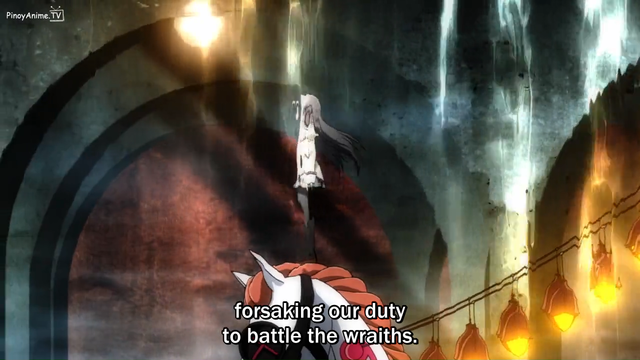 All Homura has done in Rebellion is set herself up for more pain. 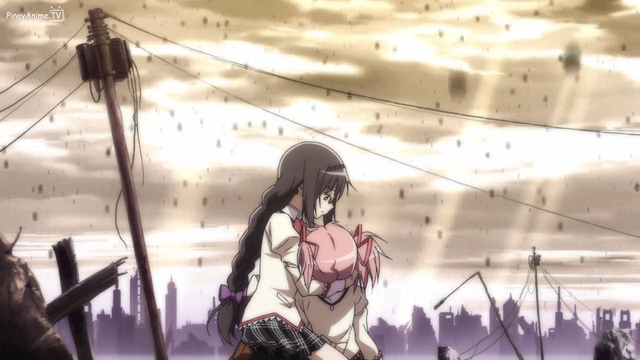 Because it's only during the pain, while trying to save Madoka, that she has any idea what she's doing. 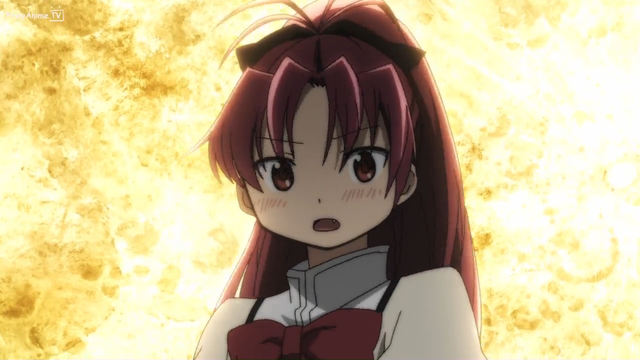 Without a Madoka to save, she is nothing. 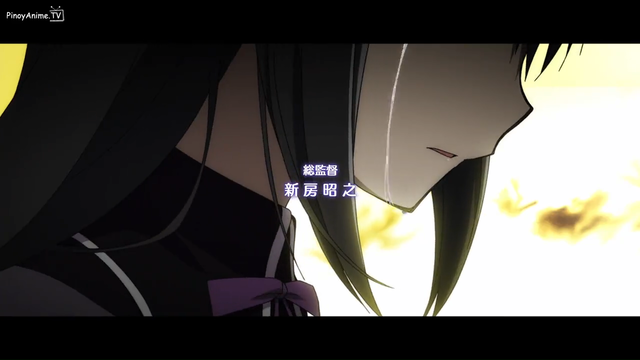 Even the pain is dear to her now because Homura isn't Homura anymore, without it. At least she got her revenge. I read the MLPM blogs when he was posting them weekly and I found your article to be on the same level of quality. Nicely done. 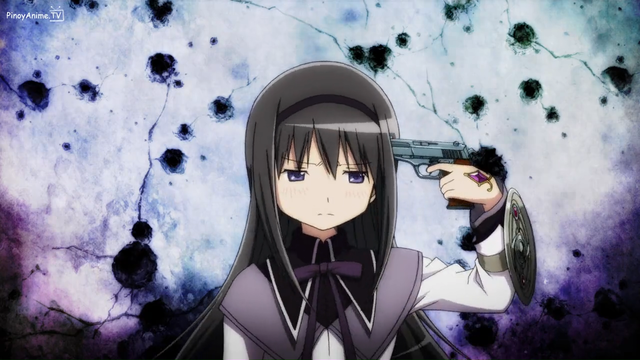 When you brought up betrayal in the Luminous sequence, I thought you were going to talk about how Homura feels betrayed by Madoka. 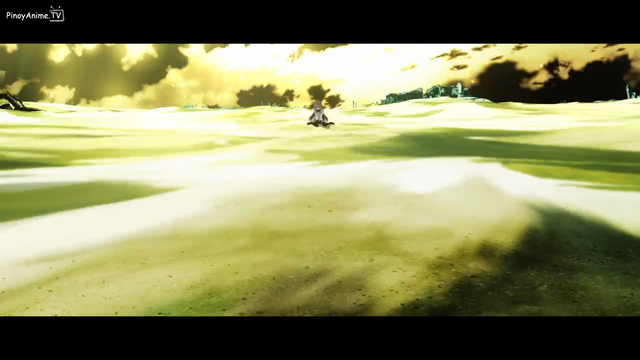 I find that to be a lot more fascinating than her being betrayed by Kyubey. 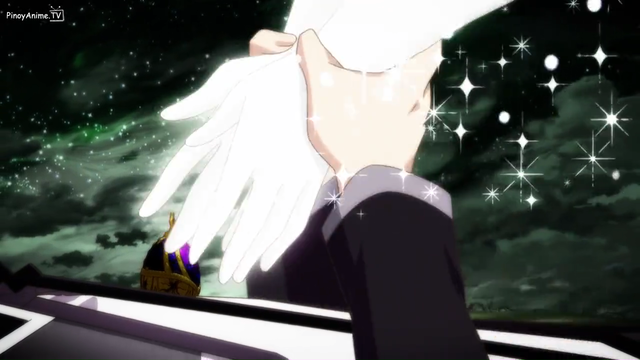 He betrays all the magical girls, especially Homura since her wish remains unfulfilled. But Madoka also betrayed Homura by not telling Homura about her wish in advance or even giving Homura the time to really object. She was forced to embrace the Madoverse not because she liked it but because her other option was to concede that Madoka made a mistake and was now lost to her forever. Truthfully she's retuning the favor by grabbing Madoka without warning and forcing this new world upon her without her consent. Interesting interpretation. To be honest I'm not really sure how to go about examining how Homura feels betrayed by Madoka - I never quite picked up on that particular thread of subtext very well, so I didn't think I could support it strongly enough to mention it here. Reading over my post, I see that I repeat a good deal of the things you say in your argument, but perhaps my spin on it will be of some interest to you. 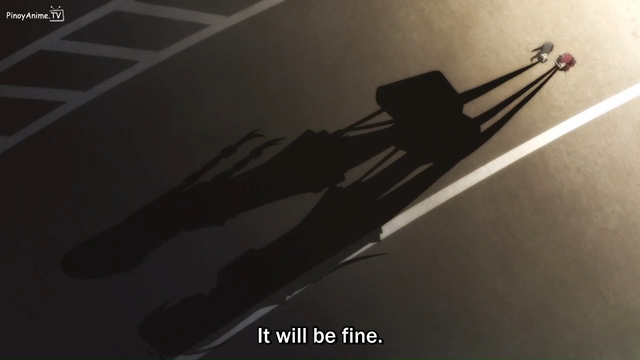 The impression I had, not just from Rebellion but also from the end of the series, was that there was an unresolved (and perhaps unresolvable) tension between Madoka's and Homura's wishes. 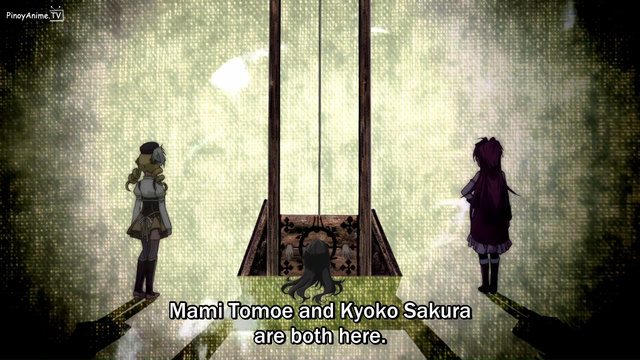 Homura wishes to save Madoka, and Madoka makes a wish that saves herself and all of Kyubey's victims. 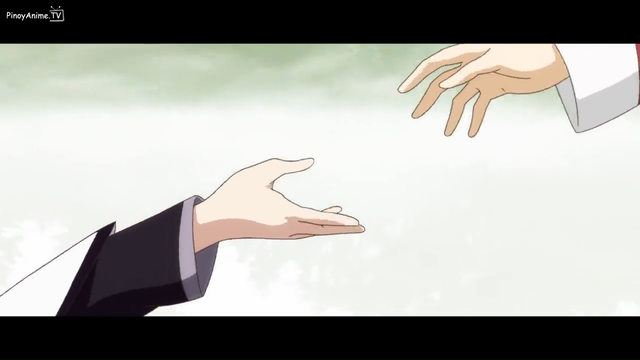 Let's recall Homura's wish: "I want to redo my meeting with Miss Kaname, but this time, instead of her protecting me, I want to be strong enough to protect her." 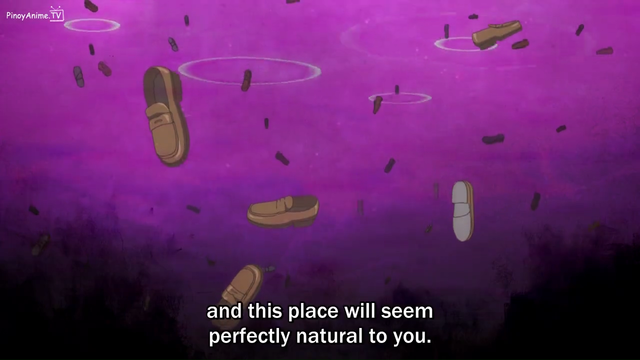 Homura's only impact on Madoka's wish (and 'survival') was unintentionally strengthening her to the point where Madoka's wish was possible to grant. 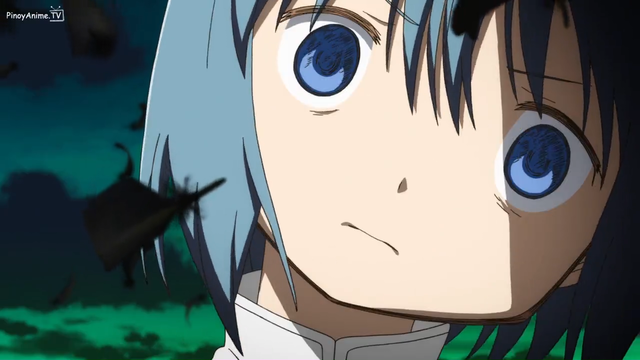 This definitely violates the spirit of the wish and arguably the word (Homura wants to do the protecting). 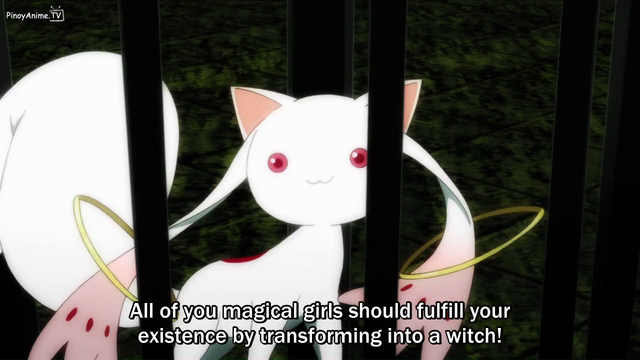 Kyubey seems to be generous in granting the spirit of a wish rather than the word for magical girls. 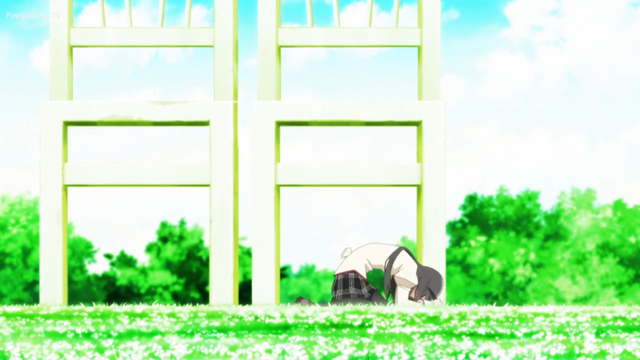 There's no reason to believe that Homura wouldn't get her wish as she intended it to be granted. These are exceptional circumstances, though, and the wish doesn't seem to work. 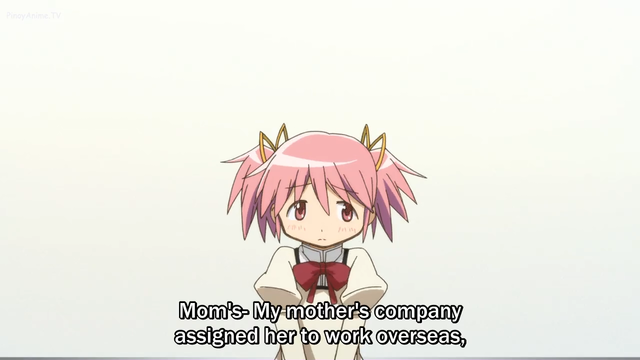 Madoka's wish throws a wrench in the gears. 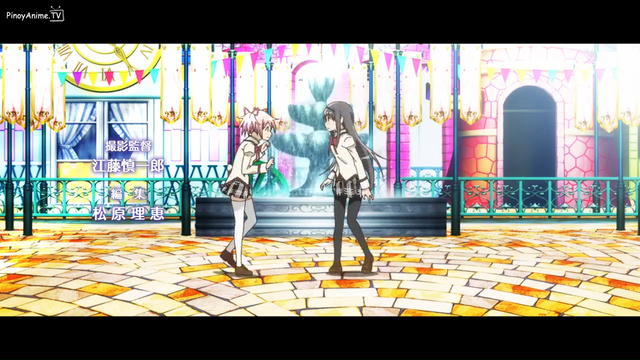 We never get to see if Homura's puzzle is solvable because Madoka wishes to save herself. 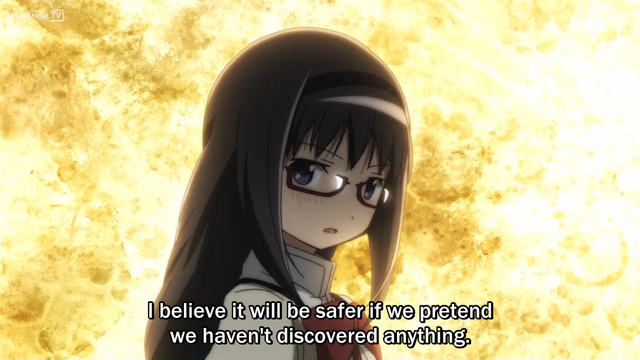 Homura specifically wants to save Madoka, and presumably wants to do it without her ceasing to exist as a person, so we can reasonably guess that Homura feels Madoka's wish has made hers impossible to fulfill in the way she intended. 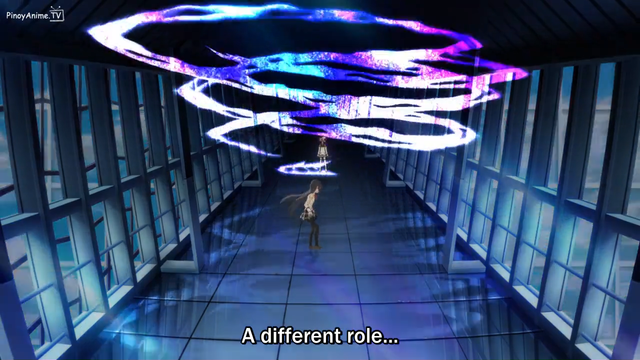 This, I thought, was Homura's justification for separating some human part of Madoka from her divine part and recreating the universe in a way that Homura could keep that human part with her; separate, corporeal, and ignorant of her divine aspect. 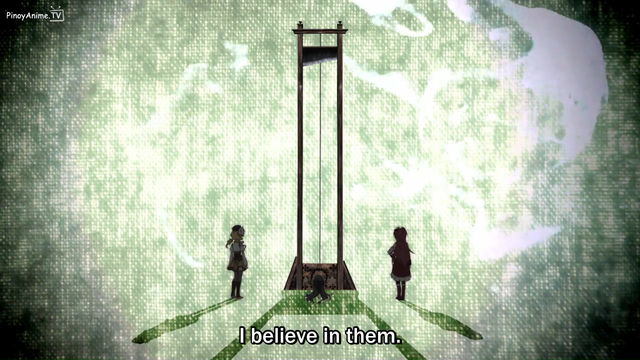 I thought that Homura finally snapped and fulfilled her wish, damn Madoka's. 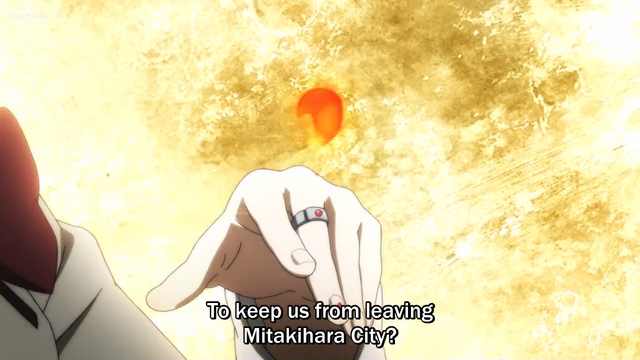 Of course this means that Madoka's wish is now unfulfilled. This creates a conflict that points the way forward to the next installment of the series. 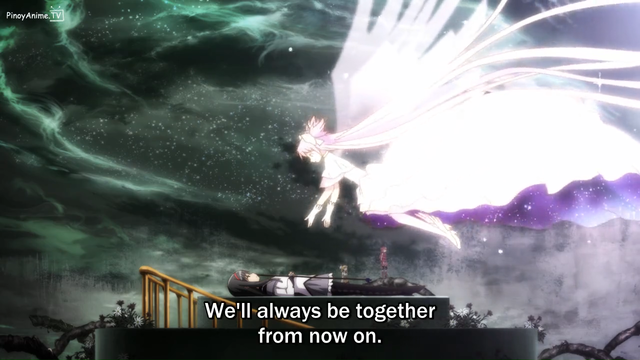 Does Madoka's wish actually constitute betrayal? 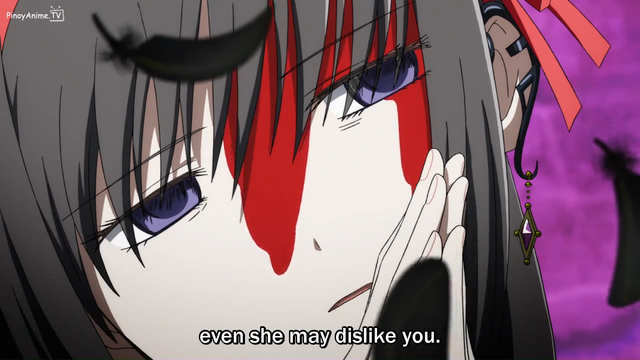 Could Homura interpret it as betrayal? Has she interpreted it as betrayal even if she knows it's not justifiable to do so? 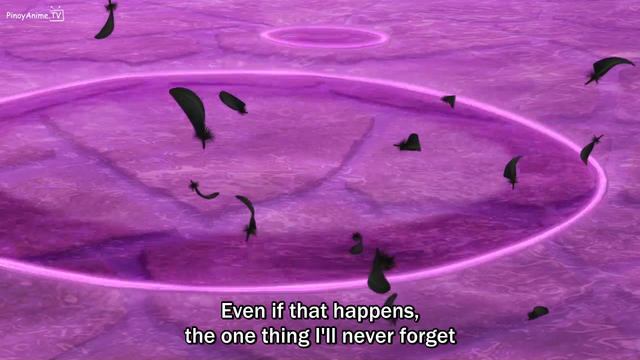 Madoka certainly didn't do it intentionally if she did it at all, but that wouldn't change Homura's impression that Madoka had somehow ruined her only compensation for her hellish fate: her precious wish. 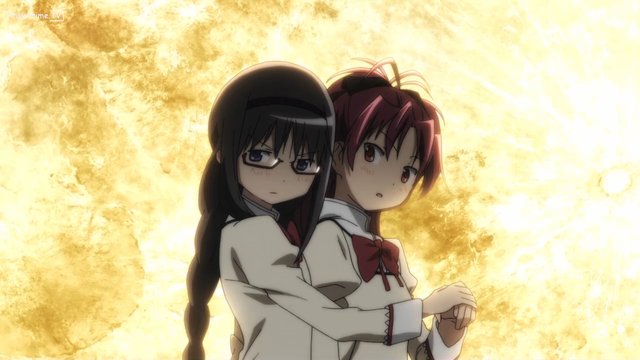 Of course, Madoka's wish makes that fate not so hellish, but after a couple hundred times around the block it may be that Homura is a little ticked off that it ended this way (especially since her real goal was to be with Madoka. 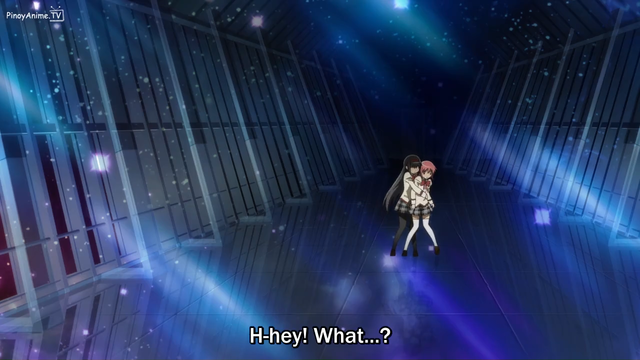 Madoka quickly peaced out and left Homura to fend for herself. 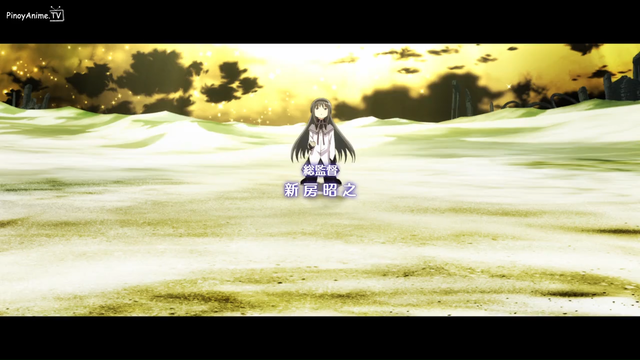 Homura seems to assure the viewer at the end of the series that she equates Madoka's wish with Madoka and will fight to protect it, but that's a lot of loneliness to deal with. She might not be able to maintain that stoic choice forever. 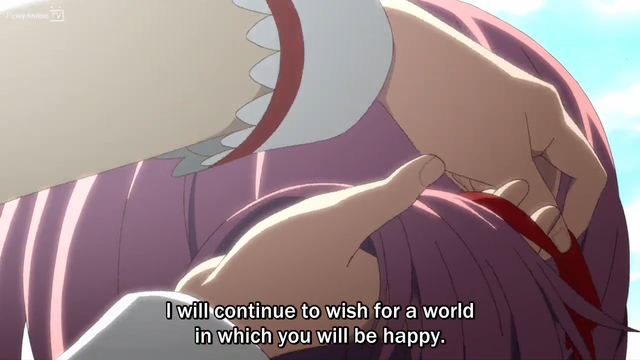 I'm not even sure Madoka's wish needs protecting. She certainly didn't protect it from Incubator meddling.) 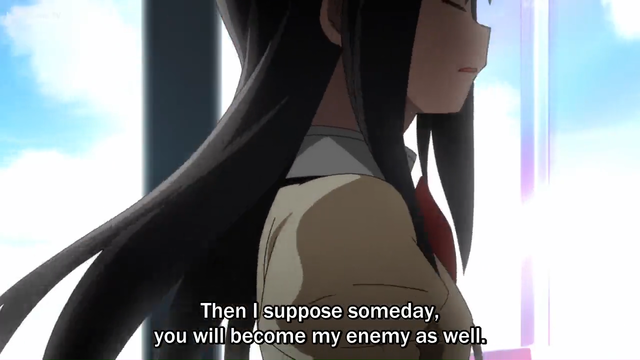 Homura's action at the end of Rebellion seems to be a betrayal of Madoka's wish, so maybe they will both end up feeling betrayed. Is betrayal the right word to use to describe the situation? I don't know, and the story so far doesn't seem to give us any way to answer this question with certainty, but it's a reasonable suspicion. We'll just have to wait for the continuation of the story to find out.